Good track work will save countless hours of headache in the future and this article outlines how to lay perfect track. My method is permanent, but I am proud to say that I can run anything on the layout at anytime. 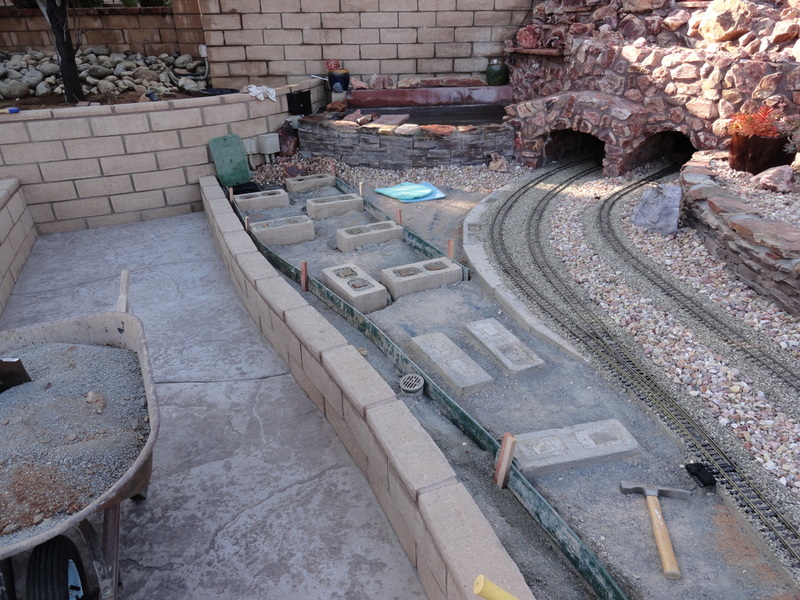 There are three steps in laying track: foundation, track bending, and ballast. Good track starts with a good foundation. 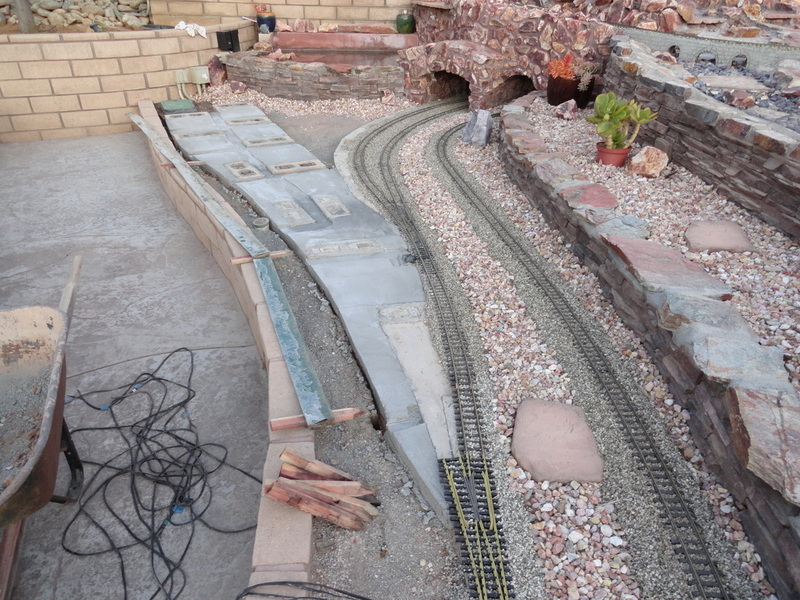 I use a mixture on cinder blocks and concrete strips that help keep the track level and true. Every few feet along the proposed track, a cinder lock is placed in concrete and a redwood block is placed in the cells of the block. The redwood allows you to secure the track before ballast is put down. Between blocks, a concrete strip is poured which will allow you to walk on the track if necessary, but more importantly, to give the ballast a place to set up. Once this very important process is done, you are ready to lay track! One of my favorite things in this hobby is to lay track. Since it is such large track, the extra time put into making good track really shows off. The only tool I use to bend track is Train-li Dual Rail Bender. Even though it is expensive, it is by far the best tool I have ever used for laying track hands down! After close to 2,000 feet of track with this tool, I will never use another manufacturer's product. 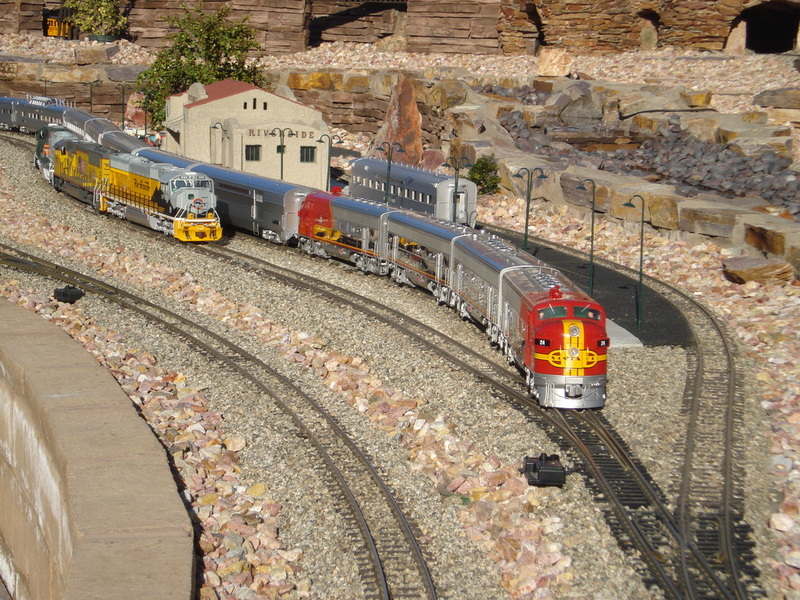 A few tips on laying track: The same rules apply to this scale as they do in the smaller scales. First, use the largest curves you can possibly get in your layout. Second, avoid "S" bends or kinks in the rail. 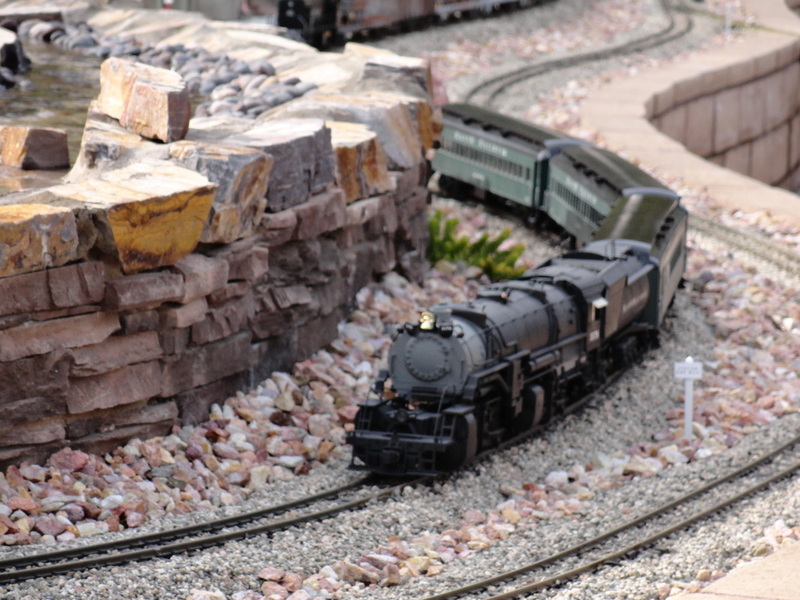 Be sure to leave expansion gaps because the rails move much more in this scale than the smaller ones! 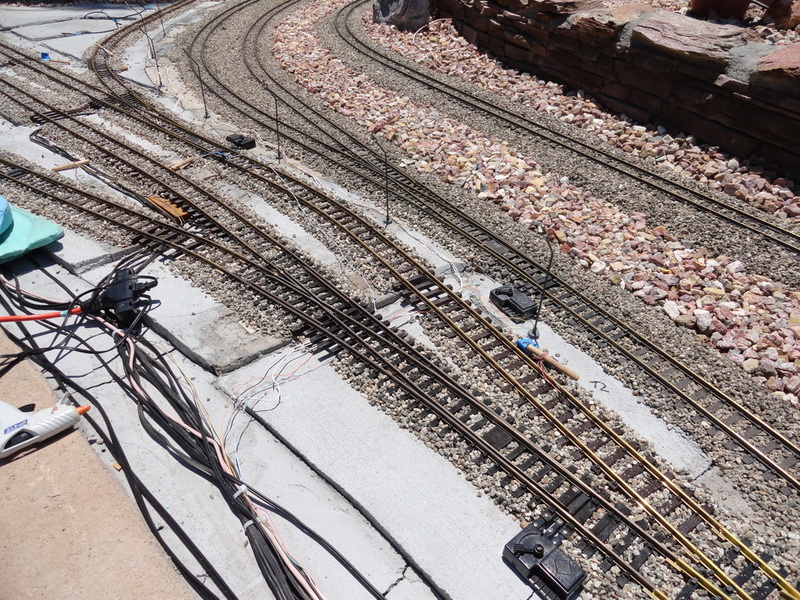 Switches are a common place for derailments so try to be very meticulous in laying down turnouts. Switches should be level and have as much straight track before the points as possible. Avoid the temptation to make an s bend by connecting the diverging routes of two switches together unless you know you will go slow through that switch. Finally, avoid long tunnels because they can become a perfect home for critters. Plus, a train will derail where it is hard to access so if you do plan for a long tunnel, be sure to include access points along the way. Just as in real life, the ballast is what really secures the track. The ballast we use on our railroad is made by A1 Rock Company and it is roof grit #5. The process to lay ballast is just like that of asphalt. Be sure to read through that article to get a feel for how to mix the material. One very important note: Be very meticulous if you plan to ballast a turnout! I believe it looks great, but it is very tedious to do correctly and most people leave the turnouts un-ballasted. Just be sure to make sure the rock is settled under all the moving parts and that you wash any excess glue out of the moving parts with water. 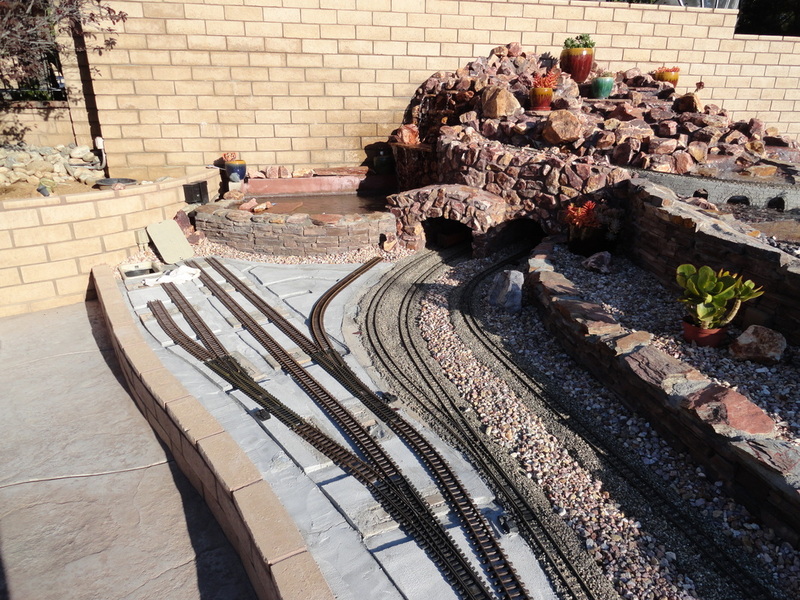 Proper track laying methods will allow you to run whatever you desire on your railroad!